You've heard me say every birth story is unpredictable. You've heard me say every birth is different. Even amongst siblings it can vary widely. 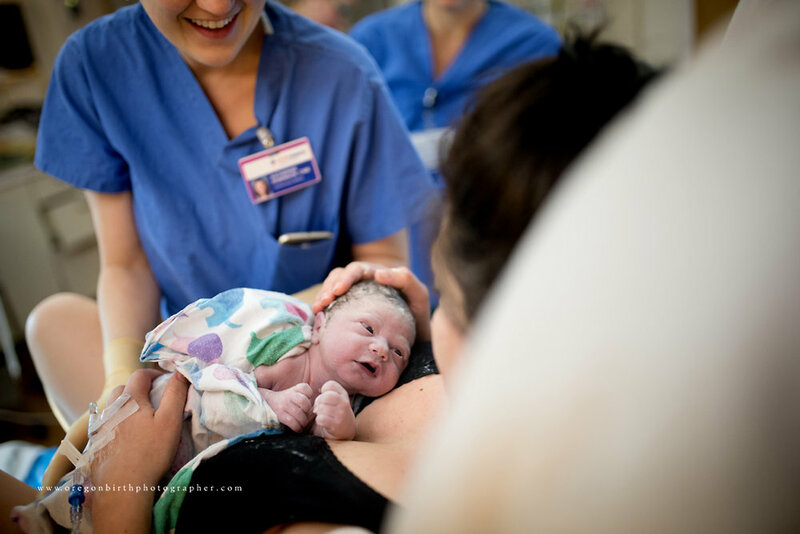 This is the birth story of Owen, as I got to witness it. Mama, Kathy, contacted me when she was about 7 weeks pregnant. I was ecstatic that someone was thinking about documenting their birth through photos at such an early stage of pregnancy. I quickly realized, birth is a big part of Kathy's life, so this wasn't so unusual. Kathy is a doula, and a darn good one at that. She'd known for a while that she wanted to hire a birth photographer for her next child, and I'm so glad she did. Kathy, her husband, and her two year old daughter met with me for a preliminary meeting. We instantly connected. I loved how supportive her husband was to what she wanted, but how carefully he questioned what that day would look like with me in the room. He actually gifted the birth session to her as an early Christmas gift...I mean, how COOL of a hubby is that!? 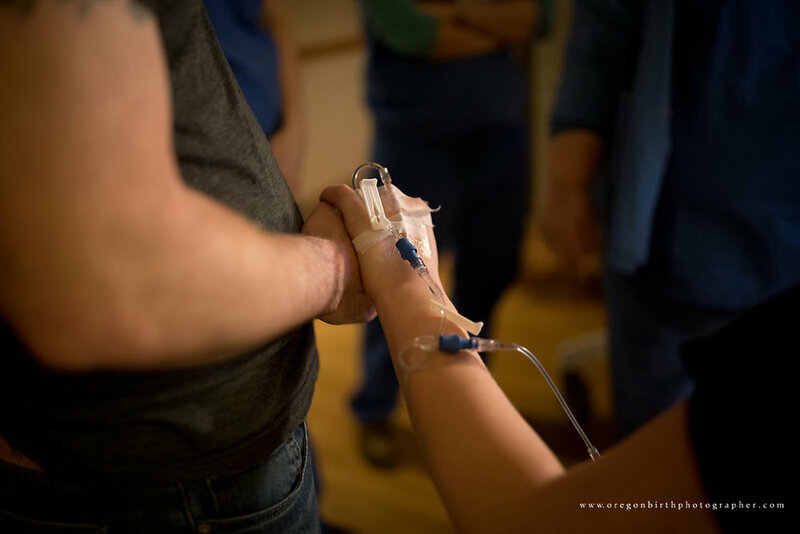 Kathy ended up being diagnosed with pre-eclampsia and was scheduled for an induction at 37 weeks. Her last birth lasted under three hours, so I agreed to meet her at the hospital shortly after she checked in at 7am. They administered Pitocin and broke her water shortly there after. 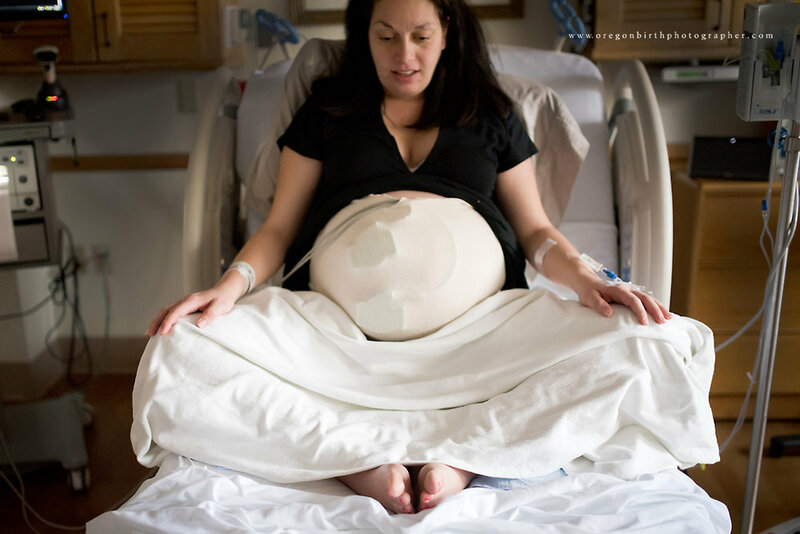 Kathy's midwife, Kate, was amazing. She stayed at Kathy's side nearly the whole time. All of us watching carefully, ready for a very quick birth. However, Kathy's doula, Kayla, and I took a break around 11am since it seemed to be taking a while to have steady contractions. And I actually went back home around 2pm since it appeared that it was going to be a while before we got to meet this sweet baby (this is very uncommon for me). I was called back at 6:00pm, and Kathy had felt the urge to start pushing by 9:50pm. After several pushes, Kate checked cervical dilation and much to Kathy's disappointment, she was only dilated to 5-6cm. So after about 12 hours of hard contractions, she finally decided to get an epidural and get some rest. At 3:28am, I got the call to again come back. Kathy had progressed considerably and was pushing again, and finally, at 4:34am, Owen was born into his daddy's hands! 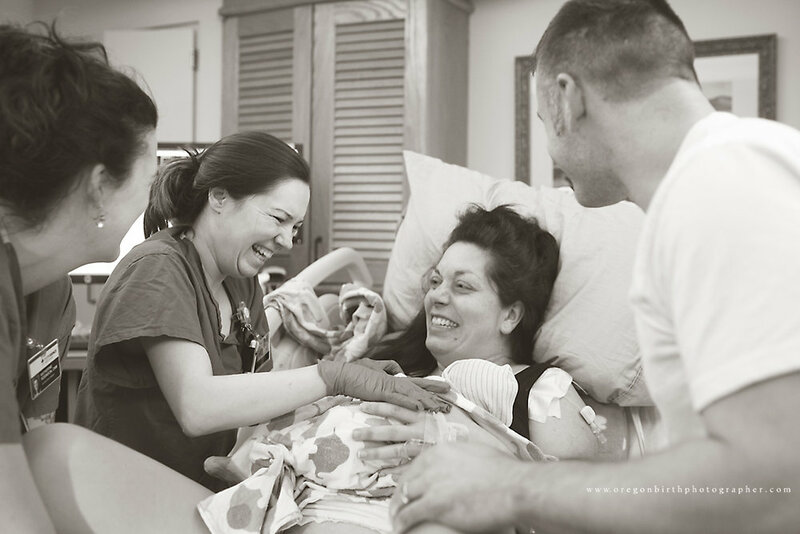 Kathy's birth team was nothing short of amazing, and seeing her face as her husband loving caught her baby. Gah. It chokes me up even now just thinking about it. Her images are some of my very favorite. You can see how hard she worked for this baby, and you can also see all the love and support that were in the room with her. It was beautiful to witness firsthand. So much for the thought that each birth goes more quickly than the last. 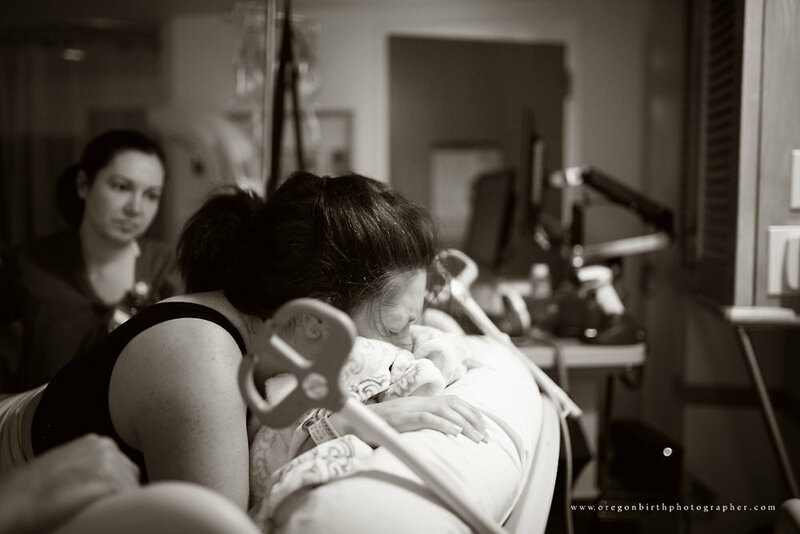 :) But Owen just wanted his birth story to be a little different than that of his siblings. His time, in his way. There's no formula for predicting birth! Welcome to the world, little Owen. We're so glad you joined us! Birth of Owen (Full Version) from Coco Photography on Vimeo.